With all of the materials testing we do here at 3DPPVD, we often get one question when we present our research to others: “Where should I buy my PLA from? / Who has the best PLA?” PLA vs. PLA has not been in our purview… until now! We are proud to announce the 2014 3DPPVD PLA Shootout. We are going to test multiple PLA products, from multiple vendors, to help determine who has the best PLA on the market. A series of tests will be given, to see which PLA 1) gives us the best print quality, 2) is the easiest to print with 3) has print quality affected by other factors; as well as answering other questions that are burning in our plastic-loving hearts. The hope is that by the end of our testing, we can give you a definitive answer on where your plastic budget should be going. Of course there are many choices out there for PLA vendors, and it would not only take us forever to get through them all but would also break our meager budgets – so we need your help. We have created a survey to help determine whose PLA we should be testing, as well as take into account some other factors that might be influencing your purchase decisions and printing results. Please take a moment to fill out the 2014 3DPPVD PLA Shootout Survey. 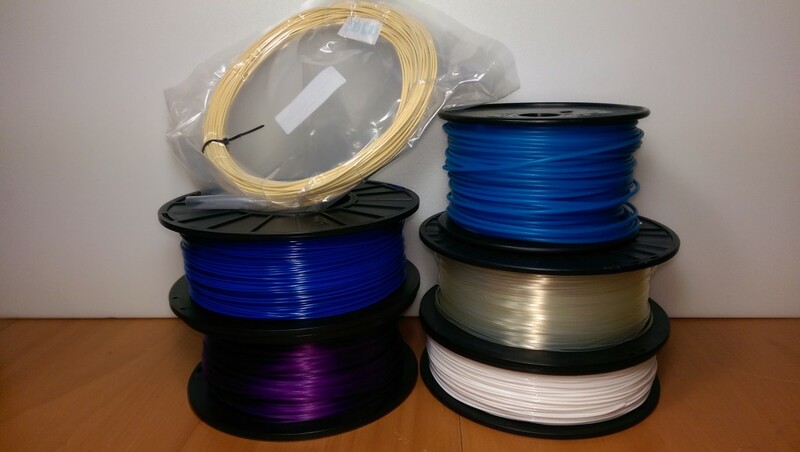 We will reach out to the top vendors that you guys use and ask them for filament to test with. We will buy filament from those who don’t respond or don’t want to help out with the test. If you are a filament vendor and would like to be included in our testing, you can ensure your spot by contacting us at info@3dppvd.org and we will arrange to include you. While we appreciate any and all help and participation, no special treatment will be given to vendors who provide free materials, as we are going to try to anonymize the process the best we can.